Prestar Packaging, Inc., Christiansburg, VA, has expanded its finishing capacity with the installation of a Kluge 14×22 EHD Foil Stamping, Embossing and Diecutting Press. The press installed at Prestar was fully remanufactured at the Kluge factory and upgraded with the adjustable impression feature which significantly reduces make-ready time. The EHD will be used for foil stamping the wraps that Prestar laminates to their attractive line of boxes including their newly patented Creative Carding™ Gift Card Boxes. 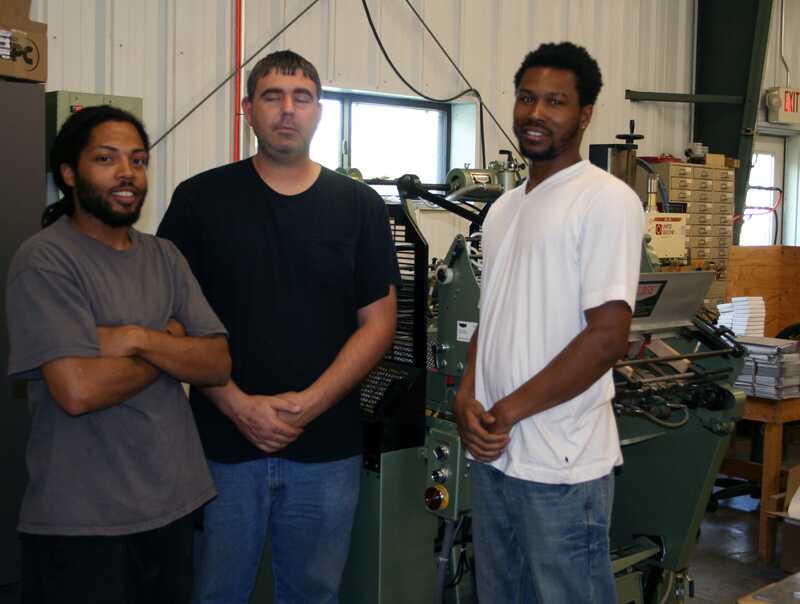 Prestar Packaging’s operators stand next to their recently installed Kluge EHD. Left to Right: Dashaun, B.J. and Antonio.